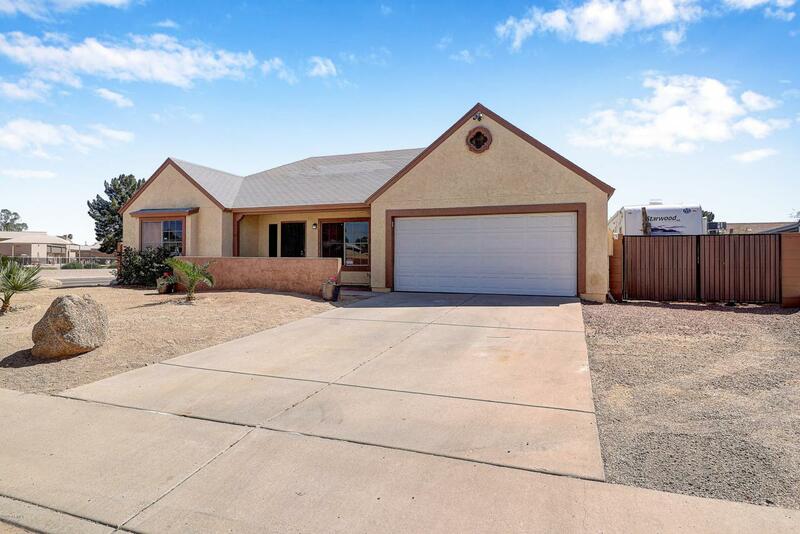 Wondeful move in ready home in established Peoria neighborhood! No HOA with RV Gate & RV Parking...room for your toys! Separate living room, family room and open kitchen with stainless steel appliances. Split floorplan with 5 bedrooms and 2.5 baths. Large master bedroom with updated en-suite with granite vanity and walk-in shower. Backyard features a large covered patio overlooking the beautiful sparkling pool. Gated grassy area with a built in garden. Perfect backyard for entertaining! HVAC & water heater under 3 years old. Great Location; you will not be disappointed. Put on your list to see!